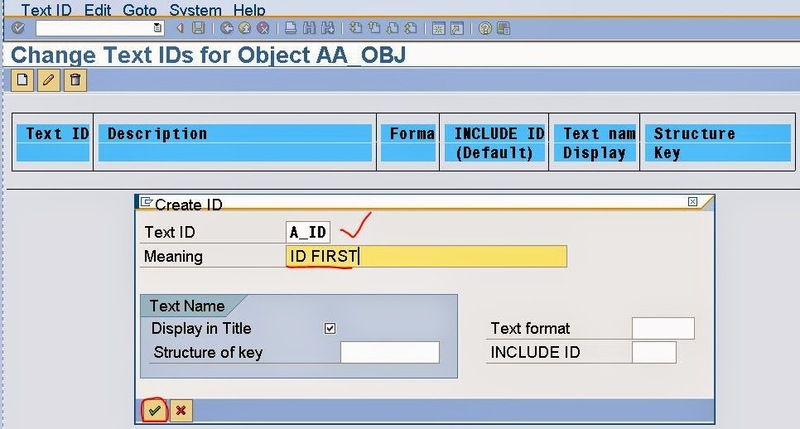 Scenario: SAP Script uses Text Object and Text Ids concept to store some information in the standard table ‘STXH’ and ‘STXL’. Also these Text Object and text Ids can be used in some different application to store some information in the same standard table. The below post describes how to create the Text Objects and Text Ids and using the same to store some messages by some standard function modules. Step1. Go to Tcode- SE75. Step2. Select the first radio button and click on Change button. Step3. Click on Continue button. Step4. Now Click on Create button to Create Text Object. Step5. Provide TEXT Object Name, Description and other details and at last click on Continue button. Step6. Click on Back button and from the Popup screen click on YES button. Step7. Click on Continue button. Step8. The Text Object is created. 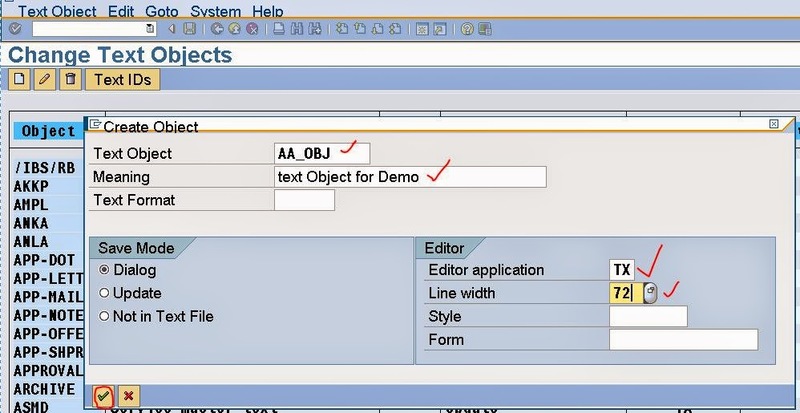 To create Text Ids under Text Object, Select the Text Object and Click on the Text Ids button. Step9. Click on Create button. Step10. Provide the TEXT ID details and at last click on the Continue button. Step12. The text Object is available in the table ‘TTXOB’. Step13. The text ID is available in the table ‘TTXID’. Step14. 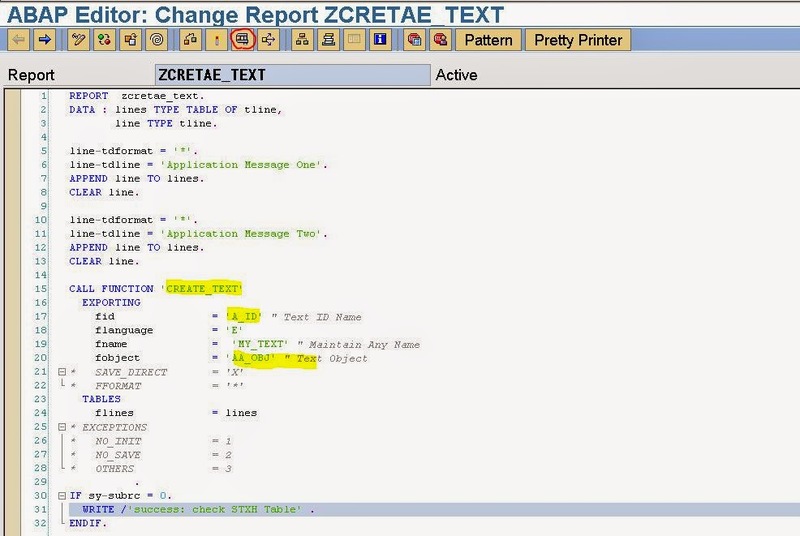 Create a report and use FM ‘CREATE_TEXT’ and use the above created Text Object and Text ID to store some message in the standard table ‘STXH’ & ‘STXL’. Step16. 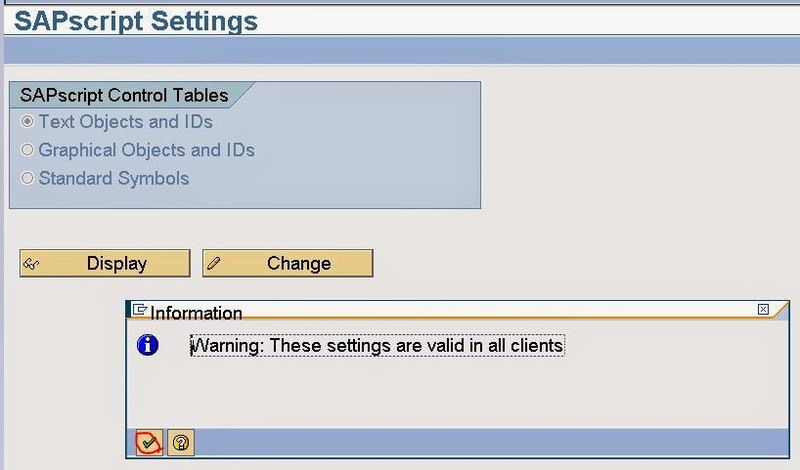 Check the details in STXH table. Step17. Check the details in STXL table. Step18. 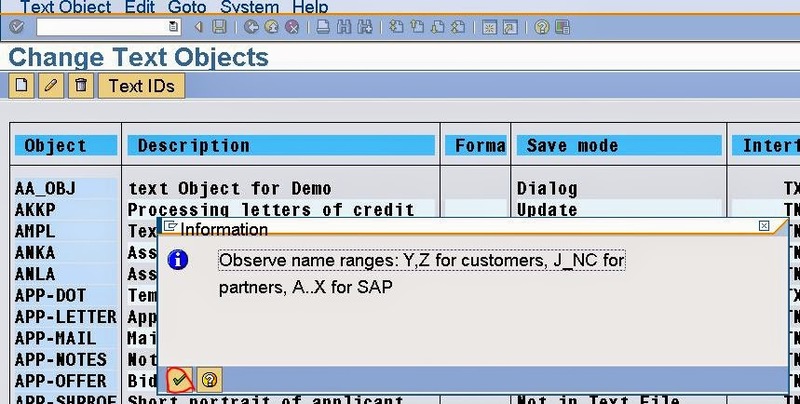 Use the FM ‘READ_TEXT’ to read the above created text from the standard sap script table.